teeth with the most advanced clear aligner in the world. Free guide - see more details below. How does Invisalign treatment work ? 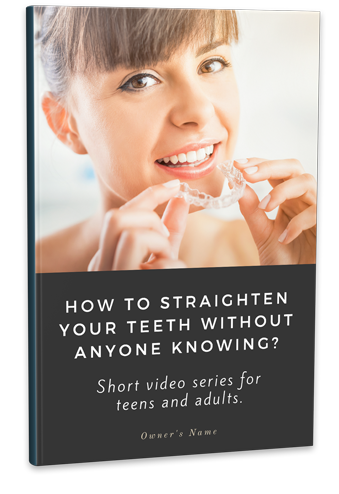 What are the benefits of straight teeth ? Up to 50% faster treatment times*. With weekly aligner changes, you’re on your way to the smile you want even faster. Proven results. SmartTrack® material and SmartForce® features are clinically proven to achieve 75% more predictable tooth movement. Better fit, better comfort. Aligners made from SmartTrack material are more comfortable, better fitting, and easier to put on and take off. Effective for a wide variety of cases. Aligners made from SmartTrack material are more comfortable, better fitting, and easier to put on and take off. Unique feature for teens. Invisalign clear aligners for teens contain compliance indicators that fade from blue to clear to help gauge wear time.